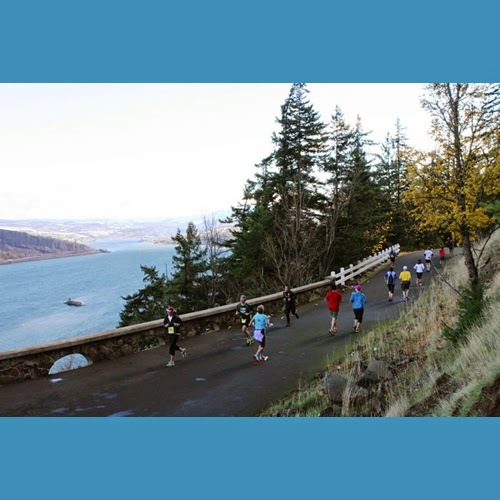 The Most Scenic Marathon In The Country is the Columbia Gorge Marathon & Half Marathon which is coming to the Columbia River Gorge this October 26th, 2014. If the view and thrill of running a marathon is not enough motivation for you, every single registered runner will recieve a handful of goodies including but not limited to a cool beanie, Chip Timing, Sierra Nevada Beer & Hot Apple Cider, a custom Ceramic Finished metal and more. Read below to learn about the New Race Series the Columbia Gorge Marathon is starting this year. Brand new for 2014 will be the Breakaway Half Marathon Series. The series will include 3 Half Marathon events in the Gorge that take competitors to new and exciting locations in the Spring, Summer, and Fall. All three will share the same amazing courses and top level support that is delivered at the Columbia Gorge Marathon and Half Marathon. Be sure and follow on Facebook and Twitter for all the latest info.